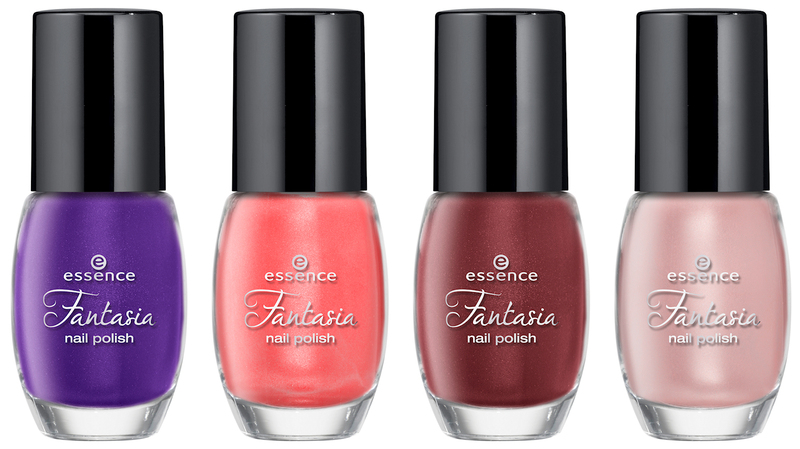 The Essence Fantasia trend edition is an editon with metallic effects and will be available in December. From left to right: elves like lilac, queen of my cloud castle, take a ride on pegasus, have you seen my unicorn? Hmm, not impressed based on these images. Maybe the pegasus one, but I think I'd pass on these. Unless they cover good enough for stamping of course, which is more often the case with metallic polishes. What do you think?